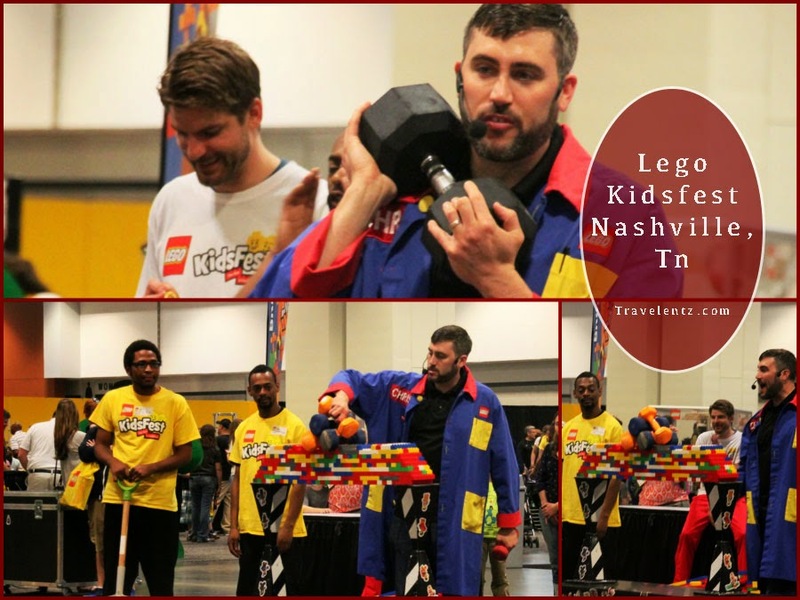 I have an opportunity to experience the first Lego kidsfest that was held in Music City,Nashville. I love everything in Legokidsfest and the most 10 things I so love about in the said festival. "EVERYTHING is AWESOME!!! yes! it's awesome to be there and enjoy with my family especially my daughter.I see the real happiness in her two eyes when she saw all the lego are all over the floor and waiting for her to start building something.How awesome is that? 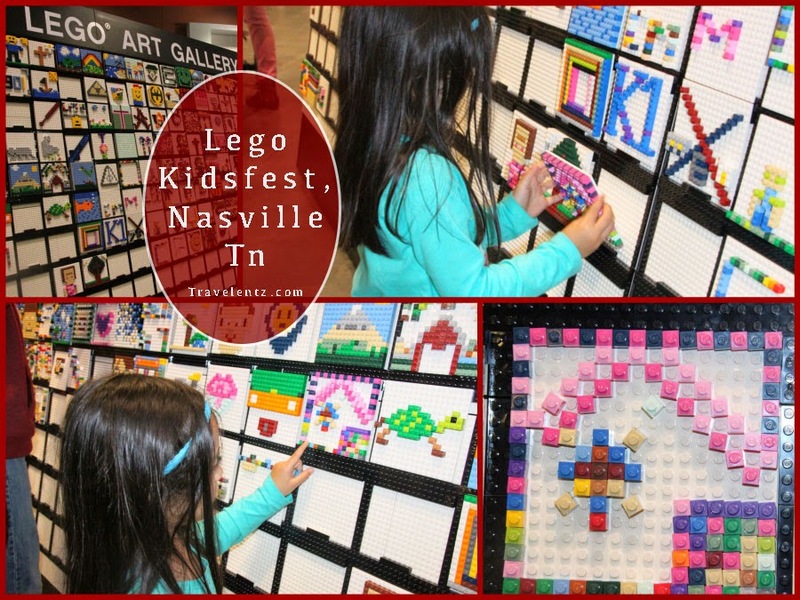 Legokidsfest is for all ages who loves Lego and they have variety of things to do for kids aside from Lego. It was fun watching the kids using their imagination and creativity. 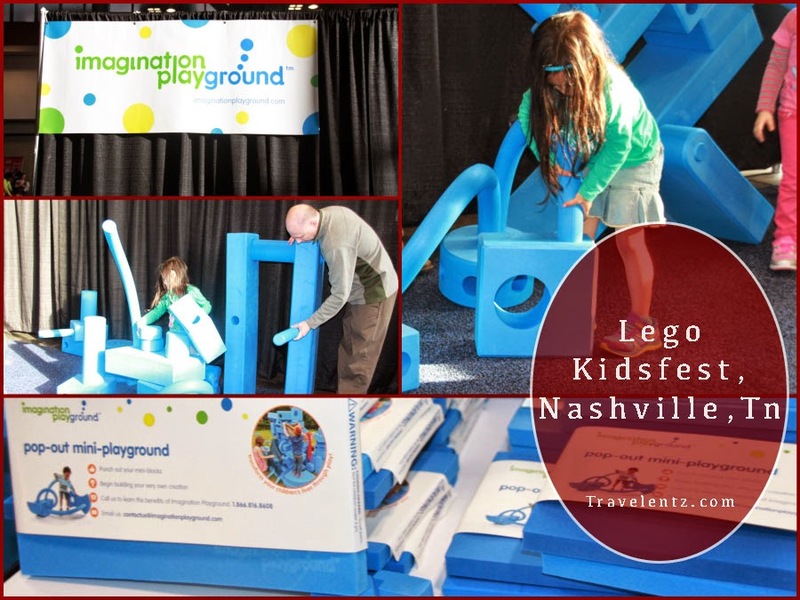 10 things I love in Lego kidsfest in Nashville. Big Brick Pile zone-My daughter doesn't want to get out in this zone. She has a blast. Lego Model Museum-Incredible! If you've been in the festival, you'll be amazed with all the display. LEGO Disney Princess-You all know I have a girl, so princess thing for a 5 year old is big deal for her. She was tickle to see the princess made of Lego. LEGO Retail- OMG! the price was very reasonable and I can't resist to buy our newest collection Lego ELVES. Photo opportunity with the Master Builder-Yay! my husband grown up with Lego and he was excited to met the master builder and had a photo ops. Star Wars- My family and I are big fan of Star Wars so just imagine the excitement. Imagination Playground- My husband and little girl had so much fun playing and making something. Pump it Up-my daughter loves this area. Lego Art Gallery-It was creative things to do and display your art in the gallery. Monochromatic Builds-You have a chance to play by group and win some prizes. 1. Incredible-I was grateful with the opportunity that I attended this kind of event with my family. All the displays and works they put all together is incredible.They have smooth and well plan activities.Worth every penny. 2. Awesome- I watched the movie and the most words that you would never forget " EVERYTHING IS AWESOME!!!! they got it right. 3. Imagination- turn your imagination into reality.Build something you wanted to build and create it. I think this was all about.Don't be scared to build and use your imagination. Disclosure: Thank you Lego Kidsfest for the complimentary tickets. However,I will always share my honest opinion about my travel experience. We went to this when it was in Hartford, CT last year and my kids loved it. It is such an awesome event for Lego lovers. That looks like so much fun! I love Legos, so this would be so great to see. I've got to get there next time. Kids and Legos are such an awesome pair! Looks like the kids had a great time letting their imaginations go wild. One of my grandsons is crazy about Legos! I buy him a new set for every occasion. He would love to go to that kidsfest. Looks like so much fun! It looks like you guys had fun! My son has a ton of Legos in our attic that he doesn't play with anymore. But he won't ever get rid of them I am sure lol. Ohh, I wish we could have something like this happen nearby. If so, I'd have to take my almost 9 year old who has recently started to really love Lego's! It looks like you guys had so much fun, I'm kind of jealous! I love LEGO a lot, this looks like such a fun place to take the kids! Surely would love to have something like that near me, I would go for sure. I'd love to let the kids get creative at this event. We'd be excited about the Star Wars things too. We are huge fans of lego as we have been playing lego blocks since we were kids. I love how it helps children foster and build up imagination and creativity. I would also love to have a photo-op with the master builder! My little guy loves Legos! 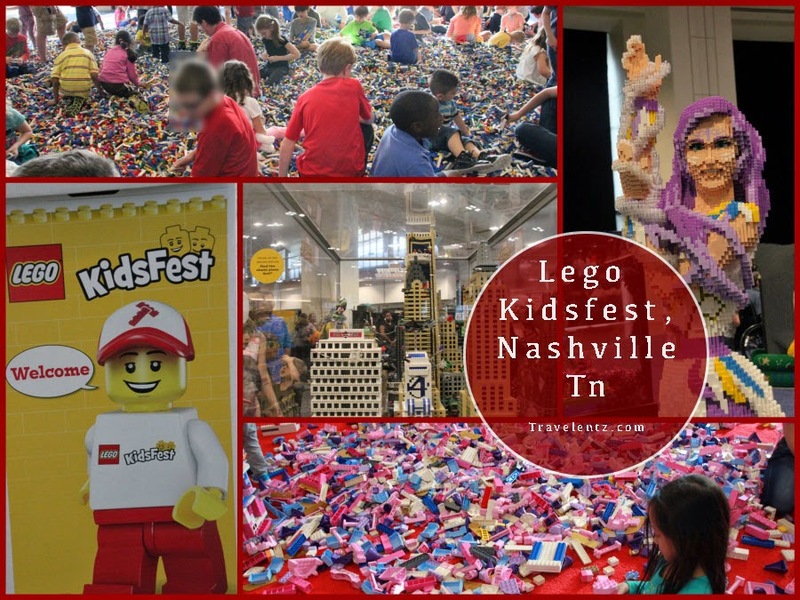 I didn't know there was a Lego kidsfest in Nashville! We aren't too far from there (Virginia)!!! This looks like such a fun and exciting event to attend! We are huge LEGO fans in this house so we'd love to go to that! I have always wanted to visit a Lego-themed theme park, hopefully I can take my kids there sometime soon. It looks like such a lifechanging experience. We have something similar and it's always a hit with the kids but honestly lol I don't have the patience to search for the pieces. Kids go crazy for it. I've been wanting to take my boy there for ages, I'm going to have to make sure we go asap. This looks like so much fun! My kids love Lego so I'm pretty sure they'd love to go see something like this! What fun! What a fun place to be! My kiddos love playing with Legos but have never been to place like that before. I will have to take them someday. What a great event for your little pweety to attend to. My son would enjoy this but unfortunately, nothing like that haoppens around here lol. I've been needing an excuse to get to TN! Lego KidsFest sounds like the perfect one!!!! haha. I know the whole family would enjoy that! I'm not a huge lego fan but one of my nephews sure is!! I think the sculptures are AMAZING!! This is the type of thing that would be hard to limit to just ten. Our kids all love Legos, and of course, as parents, we love them for encouraging free thinking and engineering all at once! My kids would go nuts! Lol I'd really like to check out the museum. It's amazing all the things people can do with Lego. This is wonderful. It takes me back to the days when lego is such an addiction for us, haha!